Seventy-four percent of healthcare provider organizations use clinical decision support technology, according to a new study from Reaction Data relying on CDS to make more informed medication orders (30 percent), lab orders (24 percent), medical imaging orders (20 percent), choosing wisely (13 percent) and other (13 percent). The report polled interviewed 180 clinical, quality and IT healthcare leaders at in providers nationwide (91 percent were acute care facilities and 9 percent were ambulatory) to assess the state of clinical decision support technology in the U.S. healthcare industry today. Clinical decision support systems are used to help providers make better, safer and quicker decisions at the point of care. But for all their value, decision support tools "do not come without their own list of struggles," according to the report. "Many companies will employ a standalone CDS solution, and while they are great at what they do, can be hard to integrate with the provider's EHR. "On the flipside, some may opt for a more basic solution that integrates well with their EHR, but miss out on some of the robust functionality you get from a specific standalone system." The Reaction Data study particularly matters because it defines the vendor marketplace for clinical decision support systems as used by healthcare provider organizations today. The top 11 clinical decision support tech vendors in use today are: Cerner (25 percent), EPSi/Allscripts (14 percent), Epic (11 percent), Stanson Health (6 percent), Nuance (5 percent), Premier (5 percent), Truven/IBM (4 percent), Elsevier (4 percent), Zynx Health (3 percent), NDSC/Change (2 percent) and CPSI/Evident (2 percent). 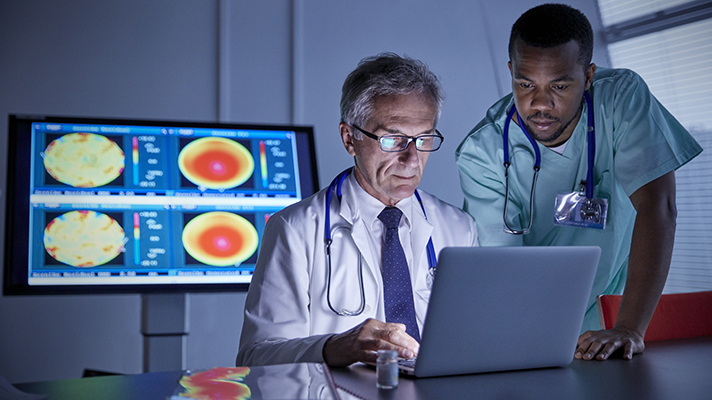 More than half (55 percent) of healthcare provider organizations use multiple clinical decision support systems, the Reaction Data study found. When it comes to future plans, 48 percent of organizations plan to keep multiple systems, 26 percent plan to standardize on one platform, and 26 percent are unsure. At Saint Luke's Health System in Kansas City, Missouri, where transfer patients from various rural and community-based hospitals throughout the area are accepted, the provider noticed increased mortality from sepsis among such patients due to this time-sensitive and deadly condition not being diagnosed early enough. Saint Luke's worked with vendor Redivus Health to implement a sepsis screening program that operated outside the EHR to proactively address this problem. The nurse transfer team began using the Redivus clinical decision support platform in 2017. The goals of the pilot program were to identify sepsis patients at the transferring facilities, start treatment sooner and improve patient outcomes. The clinical decision support platform enabled transfer nurses to identify significantly more (200-plus) sepsis cases by providing simple intuitive guidance, and it allowed for patients to receive time-critical treatment before being transported to a higher level of care. Results of the six-month pilot program were stark. The clinical decision support platform helped identify 150 percent more sepsis patients; it decreased mortality by 30 percent, which led to approximately 20 lives saved; and it correctly identified and treated sepsis, increasing billing income by $70,000 per month. "Surprisingly, almost half of those (providers) using multiple solutions still see themselves doing so in the future," accorind to the Reaction Data report, Clinical Decision Support 2018. "This either means there's a market for best-of-bread type solutions, or for a newcomer to create a product that providers feel meet all of their CDS needs."